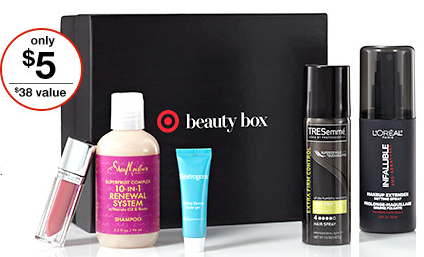 Check out the popular Target Beauty Box for $5 plus shipping, a $38 value! This is a great time to try out some new items for a nice price. The (5) items are handpicked for you to try plus they comes with tips on how to use them too. Don’t miss out! Offer valid through 4/15. FREE Standard Shipping for REDcard members.